The Holocaust was one of the most appalling crimes of all time. The stories that came out of it leave a sickening hole in your chest, wondering how humans could do such horrendous things to each other. But no matter how ghastly the truth is, the world needs to know about it. This is what makes films based on Holocaust so important. 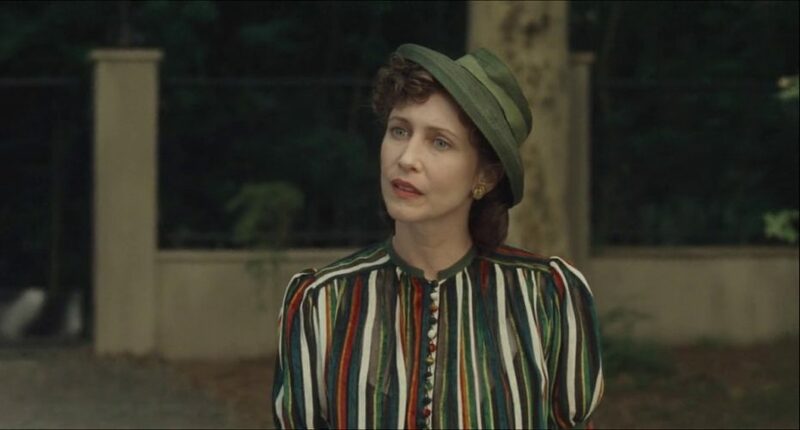 By now, so many films have been made around that topic, that it seems that we have looked at this event from every possible angle- from a Jew’s perspective, from a German’s perspective, from the perspective of a man and that of a woman. All of these movies have introduced us to the horrors of those times in one way or another. But, as the contradiction in the nature of humanity dictates, it is during the worst of times that the best of us emerge. While one of us is destroying the world, there is another who is trying to save it. In most cases, these films become a motif of survival, courage, kindness and compassion. It is the lack of these issues as the central theme that makes ‘The Boy in the Striped Pajamas’ different than its counterparts. Is ‘The Boy in the Striped Pajamas’ Based on True Story? Based on the novel of the same name by Irish author John Boyne, ‘The Boy in Striped Pajamas’ tells the story of two boys whose lives couldn’t have been more different than each other. Bruno is the son of a Commandant in Nazi Germany. Living in Berlin, Bruno is completely immersed in the travails of his childhood, unaware and uncaring of the things happening in his country. His only woe is that his father has been promoted and while that means a good thing for his father who is rising up the hierarchy, it also means that they will have to move to some other place and that Bruno will have to leave behind all his friends. Unable to have any say in the matter, Bruno travels with his family to an isolated place that he immediately comes to hate. He is alone, there is no school and there are no neighbours. This means no friends, and that means a life of complete and utter boredom for a boy who used to run around the city with his friends. It’s not that Bruno isn’t trying to be happy. He finds out ways to keep himself occupied, but there is only so much that you can do in a place where no one else lives. So, when Bruno meets Shmuel, his happiness knows no bounds. There is a problem, though. Shmuel lives in a farm, and that farm is surrounded by an electrified wire. This means that Bruno can’t go in, and his new friend can’t come out to play. Also, Bruno has been specifically told by his parents to stay away from the farm. However, nothing can keep Bruno from seeing his friend now. But he has a lot of questions about the whys and the why not’s. Over time, he comes to understand some things. Still, most answers escape his grasp. The one thing that remains constant is Bruno’s friendship with Shmuel. One of the first things that took me by surprise was the fact that before this film, I hadn’t witnessed a story about the Holocaust from the point of view of a child. No films had been made before that would focus on the lives, or present a story from the point of view of the children in Nazi Germany. And there was a very good reason for it. Most of the films made on this topic take inspiration from real-life stories. It is the stories told by the survivors, of how they escaped the clutches of the evil that had destroyed everything and everyone around them. ‘The Diary of Anne Frank’ springs to mind when one talks about the children of those times. However, nowhere do we see children in the stories that actually feature concentration camps. It isn’t because children were kept separately, or that only the adults were made to go through such torturous situations because the Nazis couldn’t bring themselves to hurt children. In fact, it is because children were usually of no use. Teenagers were a bit grown-up and so they could be used for hard labour. But an eight or nine-year-old wouldn’t be able to do the work that was required in the camps, just like an eighty-year-old adult couldn’t. For this, the Nazis had one solution. As soon as they were brought into the camp, all these old and young, or anyone else incapable of work was gassed and gotten rid of. Considering these facts, ‘The Boy in Striped Pajamas’ misses historical accuracy by a mile. Shmuel is shown to be an eight-year-old boy who grows frailer by the day. Also, according to the novel, the camp shown in the stories could very well be Auschwitz, which was the biggest camp of all. This would mean that there would have been some airtight security around the boundaries of the camp, and any kid lurking there would have certainly caught attention, whether he was inside the camp or outside. The magnitude of the camp featured in the film wasn’t stressed upon, neither was the place of their residence specifically mentioned, other than the fact that Bruno’s parents tell him that they are moving to “countryside”. 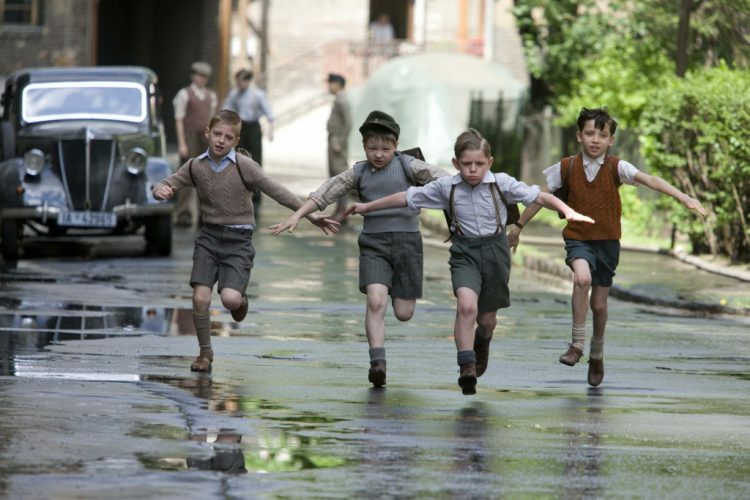 Even if it wasn’t Auschwitz in the film, the camps still had tight securities and for two boys to form a friendship with each other would have been a rather impossible task. More questions have been raised on Bruno’s naivety regarding the camp, and his ignorance about what has been going on in his country. Throughout the film, we see Bruno as someone who doesn’t know what his father does, other than the fact that he is a soldier. He sees a camp far away from his window, but he thinks that it is a farm where farmers wear strange pajamas. He doesn’t know about the existence of concentration camps or about what goes on inside them. He even learns the differentiation between himself and a Jew after he has befriended Shmuel. When Hitler came to power in Germany, it didn’t take much time for him to enforce his nationalist and racist propaganda into the education. From a very young age, the only focus of education was to teach children how the Jew had led their great country to its downfall, and how he needed to be crushed if Germany was to rise as a world leader again. The false propaganda was even used to show how the life in camps was a good one for the Jews, and that instead of facing methodical termination, they were being given a chance to a good life. In the movie, there is a scene where we actually see a film that propagates this idea. Bruno is eight-years-old and he has been going to school for a good amount of time, considering that he can read adventure books so well. So, this must mean that he has already been exposed to Hitler’s rite of passage, and must definitely know something, if not all, about the Jews and the camps and the nature of the War. Even if he doesn’t exactly know why the discrimination exists or how it relates to the greatness of his nation, he must, at least, be able to identify the people who are subject to it. These are just of a couple of things off about the story that we can easily point out, we’ll leave the details to the experts. This would make one wonder if the story isn’t historically accurate, does it remain meaningful? Should someone watch this film, even after being aware of the fact that it will not enrich their knowledge about history? The answer is, yes. Of course, one should watch this film. It doesn’t try to be any more accurate than it needs to be, nor does it really care about the finer details. Because, in truth, it is not the details that drive its story, they do not form its essence, and hence, they don’t hold as much importance as they would in any other story. Where ‘The Boy in Striped Pajamas’ fails in historical accuracy, it succeeds in bringing out the contrasts of the times in which its characters live. Right from the first scene, we see that Germany has become a place where one’s race puts them in their place in society. While Bruno and his friends are running around the streets, while the people in the upper echelons are celebrating and partying, there are people who are being towed around, being stuffed in trucks. While some people are receiving promotions in the department specifically designed to murder people, other people are being torn away from their jobs of saving people and assigned to peeling potatoes in someone else’s house. The grandeur of the Nazi lifestyle is presented in clear contrast against the misery of Jews. One of the most striking differences comes in the form of the funerals. When Bruno’s grandmother dies, we see that she receives a rather aristocratic funeral. She has a proper coffin, taken around in a carriage, her loved ones are there to say good things about her, there are flowers and tears of remembrance for her grave. On the other hand, Jews are dying in the camps, hundreds of them; and that’s not even the death that comes by itself. They are beaten by the hunger and the endless labour, they are suffering in the hellish living conditions, yet, they are holding on to dear life, even if by a thin thread. But no matter how hard they fight for their breaths if the guards deem them unfit to work, they are rounded up and marched to their death chambers. Killing people in such numbers creates a problem of disposing of with their bodies. This takes away the idea of a proper funeral, stripping away the dignity of the people even in their deaths. Clustered up in a place, their bodies are burnt while the ashes of their bones are smoked out by a chimney. While watching the film, our main focus lies on drawing out the differences between the Jews and the Nazis. But this is not the only way in which the storyteller has chosen to highlight the disparity in the society. In Bruno’s own family, we see people of contradictory characters paired together. The first pair is that of Bruno and his sister, Gretel. On one hand, we see Bruno as a naïve kid who just wants to make friends and doesn’t give two Reichsmark about where that friend comes from. His thoughts haven’t been tarnished by the antisemitic propaganda that has been floating in Germany’s air. His lack of interest in all this is what keeps his ignorance about the camps intact, and he finds it natural to befriend Shmuel. 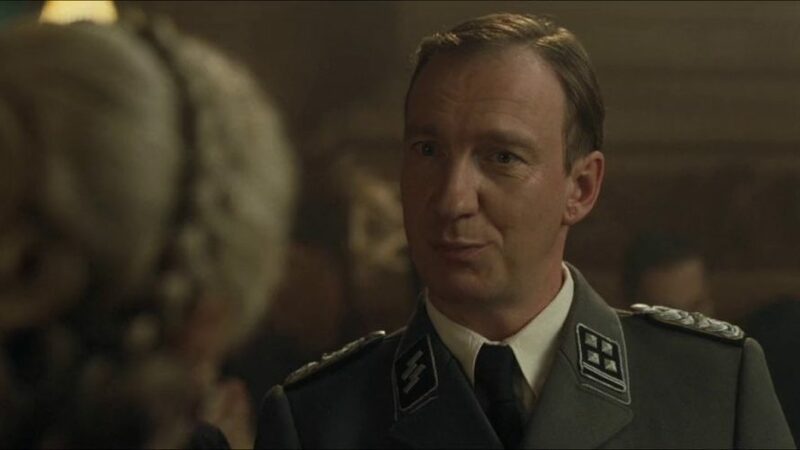 Even when he gets a tutor who begins to hone his education in the ways that were deemed necessary, he is too far gone from being recruited into Hitler’s army. 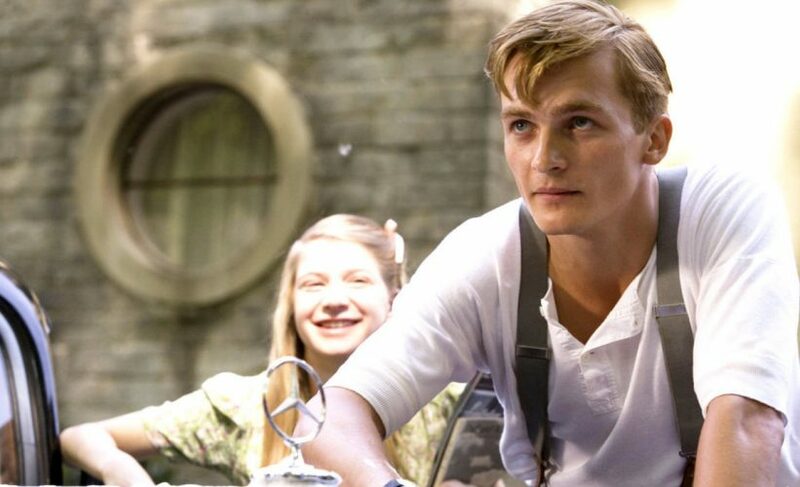 Even when he comes to realise that he and Shmuel are supposed to be enemies, he doesn’t turn his back on him because they are already friends now. He is too innocent for his own good, though. He is duped by the idea that life is good in camps, and he is honestly confused when Shmuel doesn’t turn out to be an ideal example of that life. When their tutor teaches them about the Jew, telling them how dangerous he is, he compares it with what he saw in Shmuel and comes to believe that his education is wrong. If there is one time in the film where he hates himself, it is when he lies to Lieutenant Kotler about Shmuel. Kotler catches Shmuel eating in the house and accuses him of stealing. Shmuel tells him that Bruno is his friend and that he gave him the food. To which Bruno replies that he doesn’t know him and that Shmuel did steal the food. Why Bruno did this is easy to understand. He was afraid of Kotler, and really, who can blame him? Just the previous night, he had seen Pavel being brutally beaten by Kotler, just because the poor man spilt some wine. Bruno has been a witness to Kotler’s anger and doesn’t want to be on the receiving end of it. However, he knows that he did wrong and feels guilty of it. He goes back for Shmuel and waits for him by the fence, for days. These acts represent that his one moment of weakness cannot be owed to prejudice. His sister, on the other hand, is something else entirely. Gretel is twelve-years-old, but we can already see that she has been influenced by her education. She quickly takes to the environment of their new house. She is clearly infatuated with Kotler, not only because he is handsome, but also because he presents himself as a man of authority. She knows about the camps. However, whether she knows about the true nature of the place can’t be said for sure. She is highly receptive to her education and, unlike Bruno, never seems to question anything she is being taught. 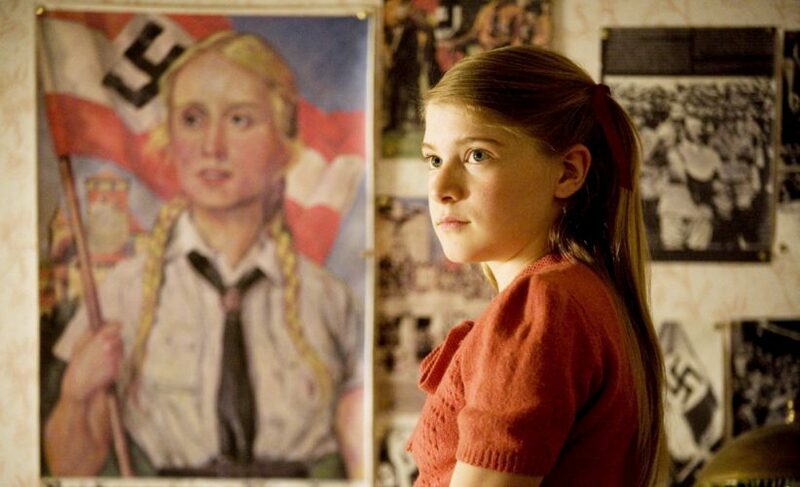 The most visible transformation in her occurs when she throws out all her dolls and replaces them with posters of Hitler and the army. What’s even more disturbing is the discarding of her dolls feels a lot like the discarding of Jews in the camps. Even her mother is concerned when she sees such change in her daughter. One can’t say that Gretel’s heart is made of stone. She is just a child and some things do bother her. She does flinch when Kotler raises his voice or brutalises Pavel. However, she has been taught that these things are right, and so, despite what she truly feels, she keeps her brave face on. The difference that we see in the children is more pronounced in their parents. Their father seems warm-hearted and kind, in the beginning. His wife doesn’t know the true nature of his new job, but she supports him all the way through. She knows the condition of the Jews, and one can’t say that is not a prejudiced person. When she sees Pavel in their house, she complains to her husband that “there was one of them in their kitchen”. She feels uneasy around Pavel, and it is only after he patches up Bruno’s wounds that she starts to warm up to him. Her sense of discrimination for Jews is not because they have done something wrong to her, or that she does hate them. It is because, like others, she has been taught to hate them. More importantly, she knows that if she is sympathetic to them, it could turn out to be dangerous for her family. Her conservations about Jews are limited to self-preservation. But when she discovers the nature of her husband’s work and realises how people are being killed only miles away from their house, she suffers a mental breakdown. She comes to hate her husband, and her plight only degrades with the passing days. On attending the grandmother’s funeral, she sees that flowers have been sent by Hitler, and she understands that the deceased wouldn’t have wanted it on her grave. But she is stopped from acting on her thoughts. Her marriage crumbles quickly after this and she decides to leave for her sister’s house. As soft as she becomes, her husband turns out to be more hateful. In the beginning, one could have mistaken him to be a kind, compassionate man. But, turns out, he isn’t. His demeanour towards his wife changes and the way he treats Kotler at dinner shows that he is, in fact, one of the bad guys. No matter what happens in the end, his character doesn’t call out for sympathy from us. Another example of such a pairing can be seen in the characters of the grandparents. The grandfather is supportive of Hitler’s cause, and even though he doesn’t know the nature of his son’s job, he doesn’t shy away from showing how proud he is. The grandmother, on the other hand, doesn’t shy away from expressing her loathing of her son’s job. We see her in only one scene, in the promotion party, and it is clear that she has no interest in even faking any approval of what’s going on in her country. The other times that she is mentioned in the film, we can tell that she is totally against what was being done to the Jews. How she would have reacted to her son’s new job can only be imagined. ‘The Boy in Striped Pajamas’ provides an apt portrayal of how the actions of parents can reflect on their children. Let’s start with Shmuel. The only thing for which he was subjected to life in the camps is that his father was a Jew. Being a Jew is not a crime, except for the Nazis. They wanted to wash the whole race from the face of the Earth. But a child only worships the Gods of his parents. What does an eight-year-old know about being a Jew or a Christian, or any other religion, for that matter? A child is just a child, and he/she is tagged according to the religion that his/her parents follow. 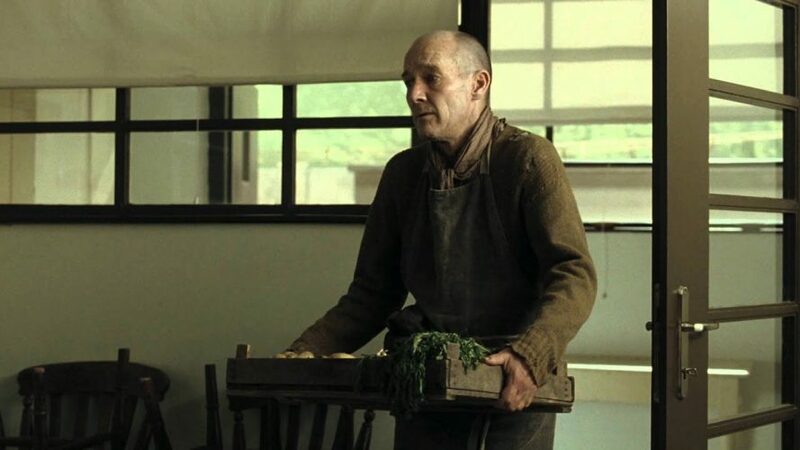 Shmuel’s father was no criminal, but what happened to his son was a result of being “guilty by association”. This is just the faintest thread in the film that establishes this idea. 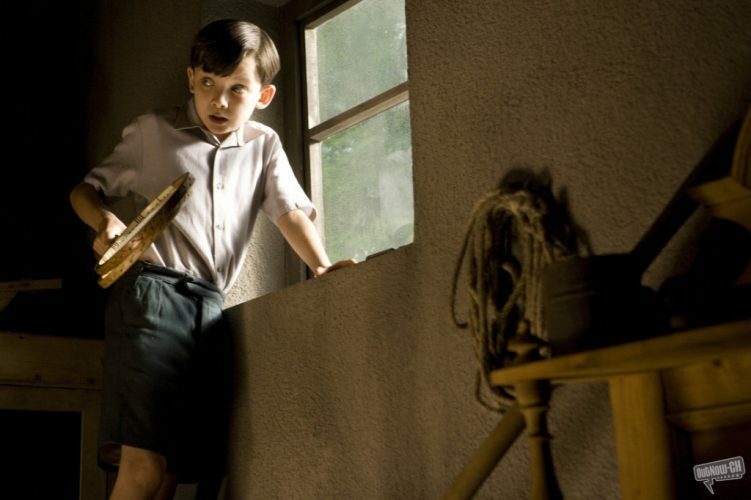 Shmuel’s father is innocent, but Bruno’s father is far away from it. He is a part of one of the most abhorrent crimes in history, and that’s why, we don’t feel a shred of sympathy for him, at the end. Our heart bleeds for Bruno, but there’s no doubt that his father was in league with the worst person at the time. Had his father chosen to stay away from this job (though, we wonder how much choice he had over it), his family would have never come close to the camp, and his son would have never died. Had he been more sympathetic to Pavel, had he not begun to terrify his children, Bruno would probably have confided in him about his new friend. Instead, Bruno became increasingly suspicious of his father’s heroic persona. He actually began to wonder if his father was a bad man! He shares this though with Shmuel, asking if he has ever questioned his father’s character, to which Shmuel replies with a strong no. The quarrels between his parents further aggravate him. So, was it karma, then, that led Bruno to Shmuel? Was his fate the punishment for his father’s crimes? Lieutenant Kotler, no matter how despicable he was, is another example of a child who has to suffer from the mistakes of his father. Kotler’s father was a professor at the university and he was in strong disagreement with the ideas propagated by the new regime. He didn’t want to be a part of it and so, he left for Switzerland. His hatred for the whole scenario made him break all relations with his son, who clearly made a great show of how he was a good soldier. Kotler didn’t report his father, but the truth came out later, and for that, he was relieved of his duties in the house and was sent to the front-lines where he could have easily died. Had it not been for his father’s decision to not fall in line with Hitler’s ideas, Kotler would still have been safe and away from danger with the Commandant’s family. Throughout the film, there are a number of things that emphasize the segregation between people. Various contrasts between the Jews and the Nazis act as subtle references. However, there is one thing that is the most prominent symbol of all. It is the fence of the camp. Bruno’s innocent mind perceives the fence’s purpose to keep the animals in, to which Shmuel replies in disgust that it’s to keep the people in. For Bruno, the fence is just a stupid barrier separating him and his only friend. He even laments in the beginning that he is alone on this side, and Shmuel is enjoying with his friends on the other. Even though Shmuel knows the importance of this barrier, he hasn’t yet realised that there is no getting away from it. That’s why when Bruno proposes to cross over to the other side, he is delighted. If he had the faintest idea of the life-threatening danger he would be placing both of them in, he would have never allowed Bruno to entertain the idea. The fence becomes an important place because while it is the representation of the discrimination between people, it also becomes the site of overcoming these differences. For older people, the fence marks the territory which they shouldn’t cross over, but it becomes the playground for two innocent children who are none the wiser. Bruno tries to find ways to get over the boundary problem. 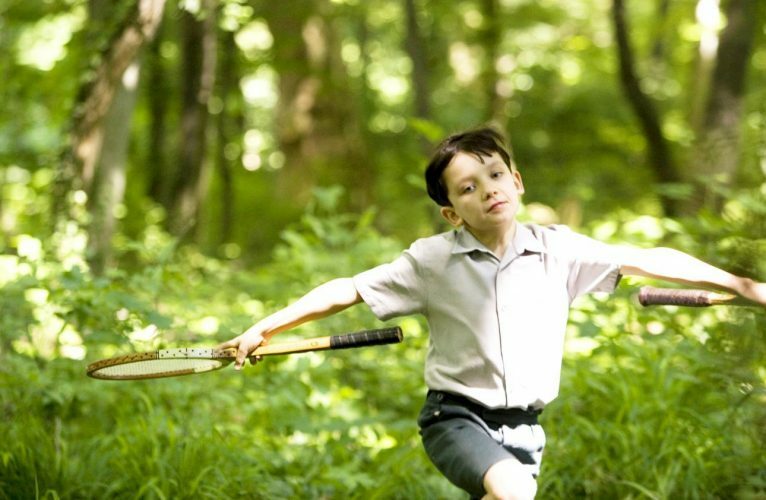 He brings a ball, badminton racquets, and a chess board. Even if he can’t play actively with Shmuel, he suffices himself by talking to him. In the end, he finds a way to overcome this hurdle by digging under it. The window from Bruno’s bedroom also acts as a prominent symbol in the film. Bruno doesn’t know anything about what his father does or what is going on in the world. But, when he looks through his window, he becomes aware of something that further drives the story of the film. He becomes aware of the people in “the farm”, and this awareness leads to curiosity. He begins to ask questions and makes deductions based on what he is being told and what he is being taught. His curiosity receives a setback when the window is quickly boarded. However, another window becomes his escape route. When he goes to the outhouse with Pavel, to find a tyre for his swing, he discovers a window, and it is through it that he finally finds his way to Shmuel. If there are barriers shown throughout the film, we see that the means to overcome them have been presented too. Let me tell you that there is no alternate ending for this story. The friendship of these innocent boys was doomed from the beginning, and it was always supposed to end this way. Any other way, and we would perhaps have forgotten it as a lesser film about the Holocaust. The film follows in the footsteps of the novel, and while there are slight changes in the way the events are presented, the end result is still the same. In his final quest to help Shmuel, Bruno decides to get on the other side of the fence. He is to leave for Berlin and wants to do one last good thing for his friend by helping him find his father. Bruno is shocked by the state of the farm and feels utterly bewildered by what he sees there. It was nothing like the fun place that he saw in the film that his father had presented to his superiors. He expresses the desire of going to the café, at which Shmuel acts surprised. However, they continue on their quest, and just when they are in one hut, the guards come along and march everyone away. The children are taken away in the flow and end up in the room stuffed with everyone. While his parents frantically search for him, Bruno is gassed along with other Jews. The scene is pretty hard to take in and one doesn’t understand what to make of it. If there was still any hope for Bruno or any confusion about his fate, it is confirmed by the heart-breaking cries of his mother. 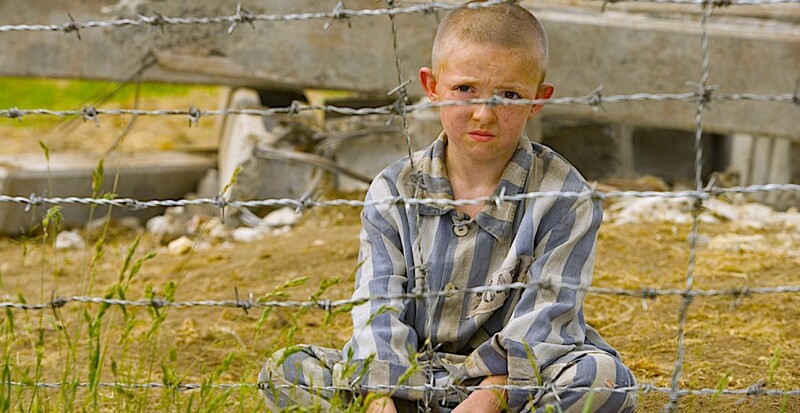 An emotional ride of childhood innocence, ‘The Boy in Striped Pajamas’ becomes the bearer of a contradictory message. Throughout the film, one is led to believe that the film is teaching you that no matter how hard the world gets, innocence, in its fluidity, finds a way around the cruelty of the world. But in the end, it is also crushed by the sheer force of man’s brutality.